In McMinnville, Oregon we have the means to help you find the workforce you need. 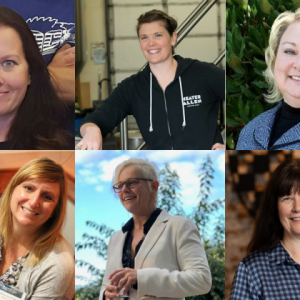 Through original programs, resource centers, and surrounding colleges and universities, we are attracting talent to the heart of Oregon wine country. Photo from the 2016 McMinnville WORKS Summer Internship Program. McMinnville WorkSource Center - WorkSource Oregon is the state's public workforce system. Express Employment Professionals - Offers workforce solutions through recruitment and matching businesses with employees. Oregon Employment Department - Find more information about Oregon's state and local labor markets. 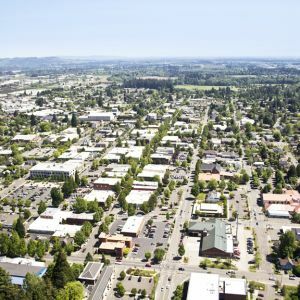 Both Linfield College and Chemeketa Community College Yamhill Valley are located in McMinnville, and both George Fox University and Portland Community College Newberg are located 14 miles away. Utilizing career centers can help market your business to young professionals entering the workforce. Click the links below to get connected. See the other colleges/universities located within 50 miles of McMinnville. The McMinnville WORKS Internship Program is MEDP's solution to help us grow our own workforce. As a response to local business concerns about finding a qualified workforce, MEDP started the McMinnville WORKS Internship Program to help bring talented workers into McMinnville. Through a nine-week summer internship, the program is utilized by a variety of businesses and organizations throughout McMinnville. 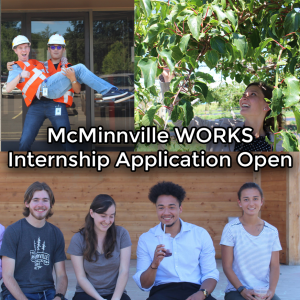 Learn more about the McMinnville WORKS Internship Program. We have the connections to make sure your workforce is trained and skilled. There is vocational training at our regional schools and community college and programs to help train new employees. The OJT Program helps companies and organizations hire and train new and current employees. The program reimburses companies for the hours committed to training employees while on-the-job. The program is open to private businesses and non-profit entities. The On-the-Job Training program is funded by Willamette Workforce Partnership, our regional workforce board, and is run by WorkSource Oregon. One of the most difficult components of workforce is retaining talent. If you find your company is struggling with retention, talk to us about programs such as OMEP Smart Talent, working with Express Employment Workforce Management tools, and more. We're here to help you connect to the best resources possible. Sometimes finding the right workforce or career is all about meeting the right people. We have the resources to build your network. Young Professionals of Yamhill Valley - A group of 21 - 40 year old young professionals who come together to support local businesses, give back to charities, and more. McMinnville Area Chamber of Commerce - The Chamber of Commerce supports local businesses and hosts multiple networking opportunities every month. Leadership Mac - A class that teaches participants to meet any challenges facing the community. "Everyone I've brought into the company loves it here in McMinnville. Oregon is one of the top places to live in the country, so I’m able to recruit here like I wasn’t before." 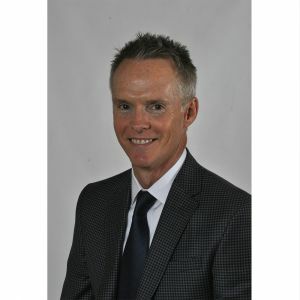 – Rolf Hagelganz, CEO, Ferrum Technology Corp.